Reloading ammunition requires attention to many critical cartridge dimensions, including case length, neck and base diameters, overall length, primer pocket depth, etc. 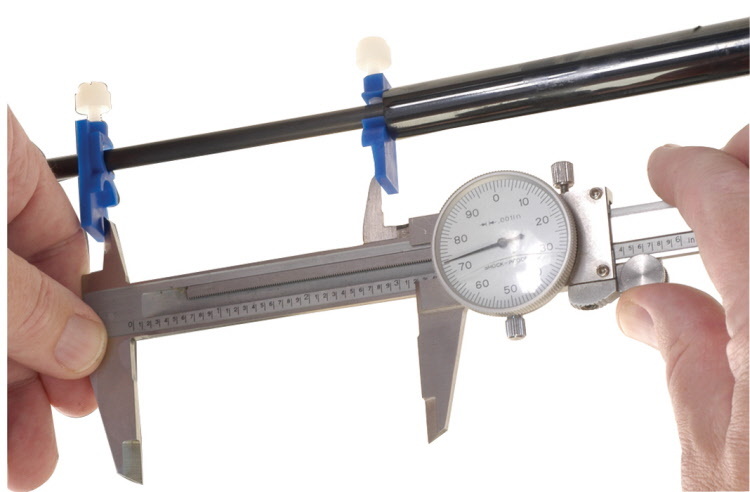 Verifying these dimensions is quick and convenient with the Frankford Arsenal® Calipers and Micrometers. The calipers are accurate to within .001″ and the Micrometers are accurate to within .0001″. The calipers allow you to measure inside and outside diameters, plus depths. 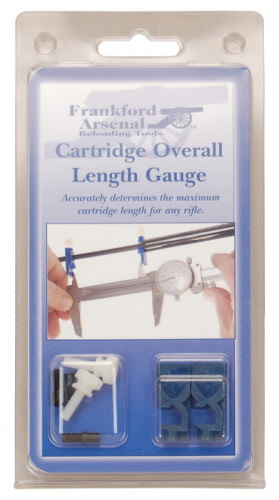 You will find them useful for many measuring tasks on and off the reloading bench. If you have a cleaning rod and a set of calipers, you can now determine the optimum OAL for any bullet in less than two minutes. 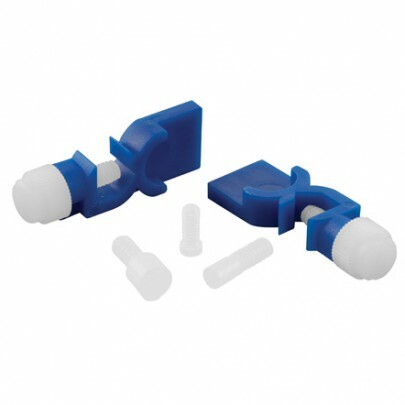 This simple kit consists of two clamps that easily attach to any cleaning rod, 1/4″ in diameter, or less. Simply install the appropriate size tip on the end of your cleaning rod, insert the cleaning rod to the bolt face, install one clamp, remove the bolt and drop in a bullet (projectile only) into the chamber. Hold the bullet against the rifling with a pencil, touch the bullet tip with the cleaning rod tip and install the other clamp. Now measure the inside distance between the two clamps with a calipers and record, or use as a gauge to check the seating depth set-up during your reloading sequence.